A view looking southwest at Spectre Peak. The approximate climbing route is shown. The route is class 3. The peak is estimated to be 4480 ft. The elevation on the 7.5 minute topo map is in error. Picture taken from Aqua BM. The names Spectre and Dyadic are not official and do not appear on the topo map. 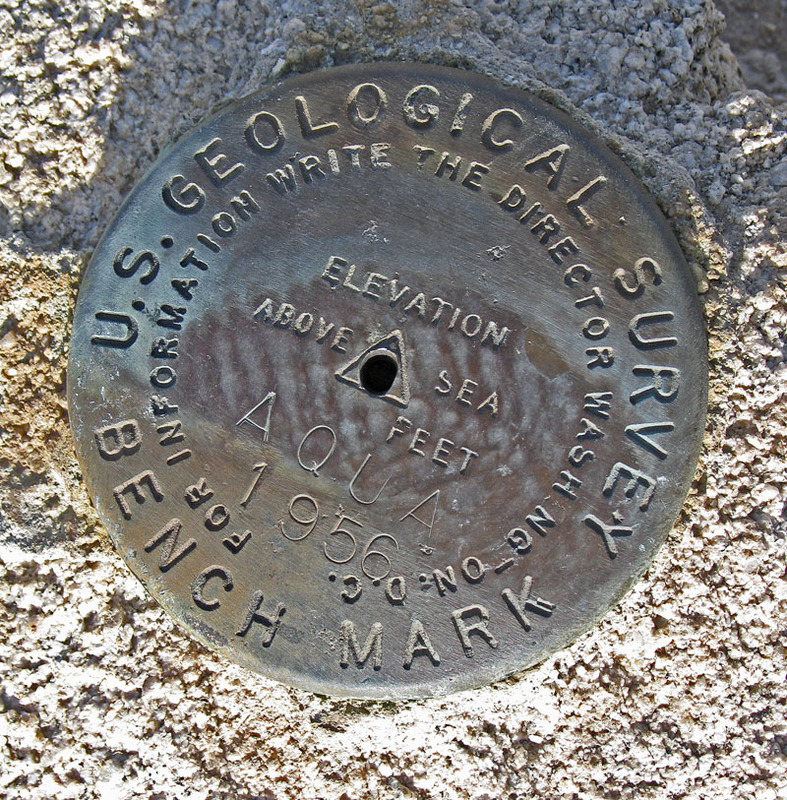 They were suggested by the Desert Peaks Section back in the late 1950's. 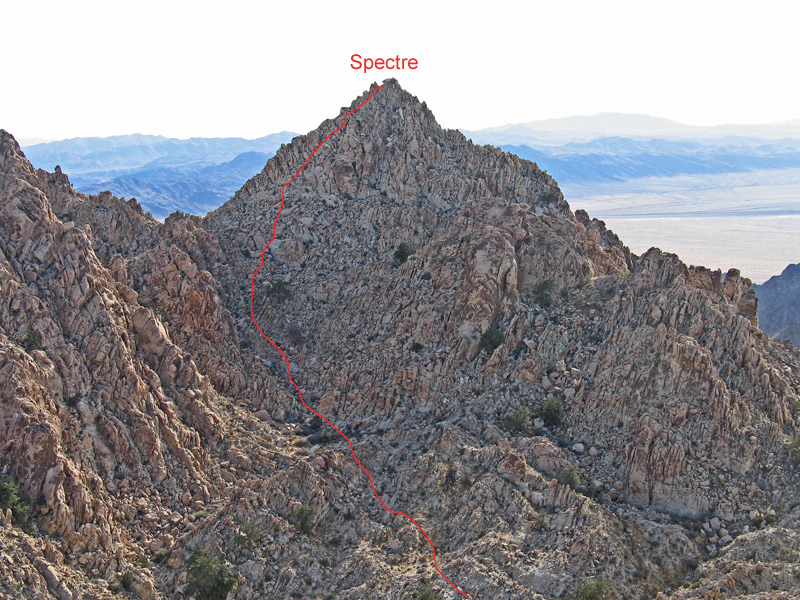 Spectre is the highpoint of the Coxcomb Mountains. 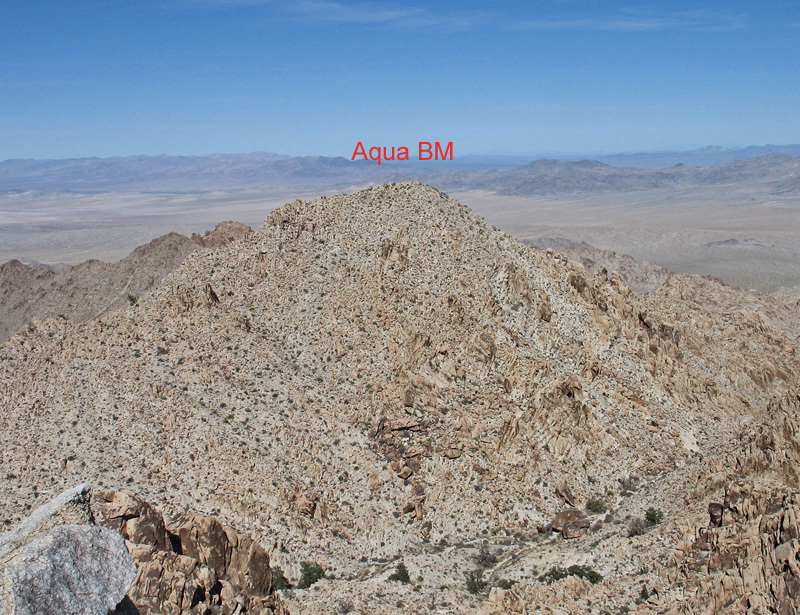 These peaks are in the eastern area of Joshua Tree National Park, township data, T2S, R15E, SEC 3. This is on Spectre looking northeast at Aqua BM. This peak is 4420 ft. and is obviously much lower. 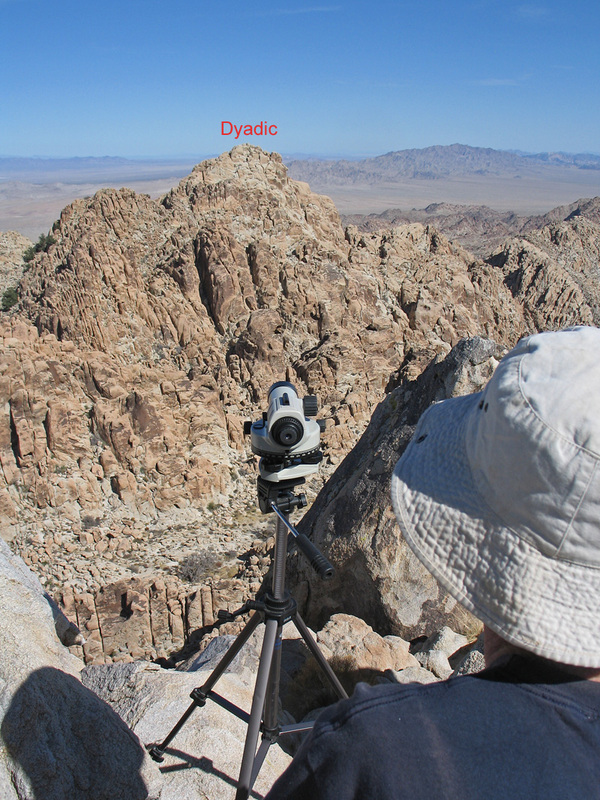 Edward Earl using a 32X automatic level to sight east to Dyadic Peak. We estimate it is about 5 feet lower. 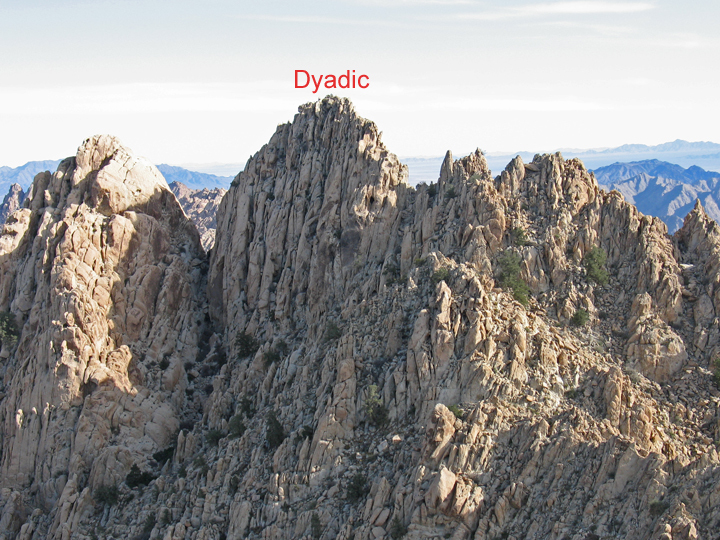 Dyadic is a 4th class climb. The is looking south at Dyadic Peak from Aqua BM. 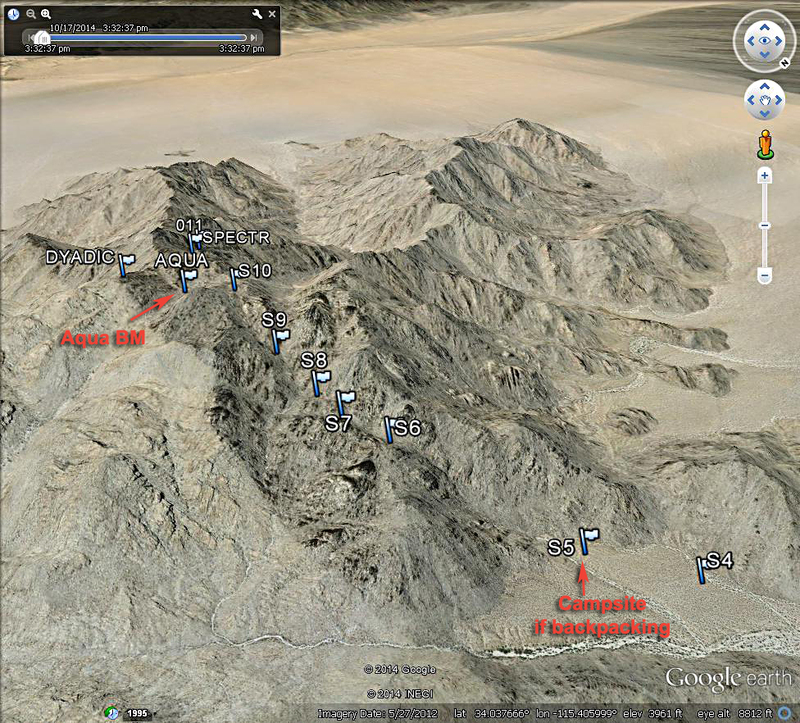 A Google Earth image of the Coxcomb Mountains showing the route up Spectre Peak. This view is looking west. 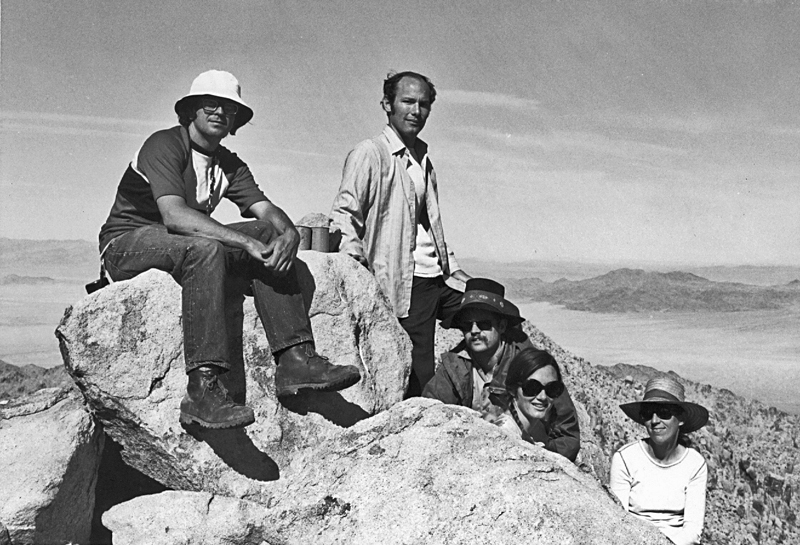 A happy group on the summit of Spectre on March 4, 1973. This was a San Diego Chapter, Sierra Club, Singles Section trip. From left to right are Jim Spears, John Knool, Ted Young, Claudia Records, and Alita Marks.